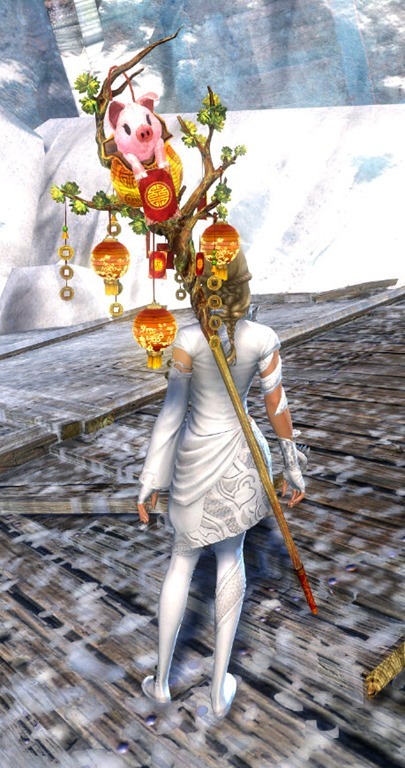 GW2 gemstore updated today with Staff of Fortune for 600 gems and Exalted Shoulders available as an uncommon BLC drop. Chat codes taken from that_shaman’s datamining post. Which is really cute, but I’d prefer it if it were just the tree-stuff. My druid would love it. Probably because it’s the year of the boar. the closest thing we will get to capes. I like the outfit, that’ll be an instant purchase. 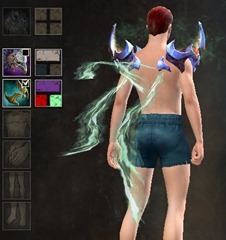 Even if your weapons don’t cover your back, often times you need to apply the “wielded” view in your preview window to see the tendril effects. This is the case for the PVP armors with back tendrils, maybe give this a try for these new shoulders. 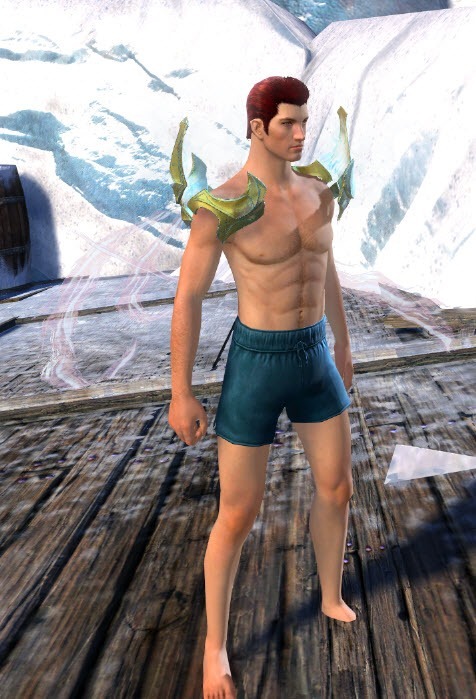 Bought 5 BLC keys since I only needed 1 statuette for my exalted gloves. Got exalted shoulders on the 3rd chest. It’s an incredibly pretty skin. 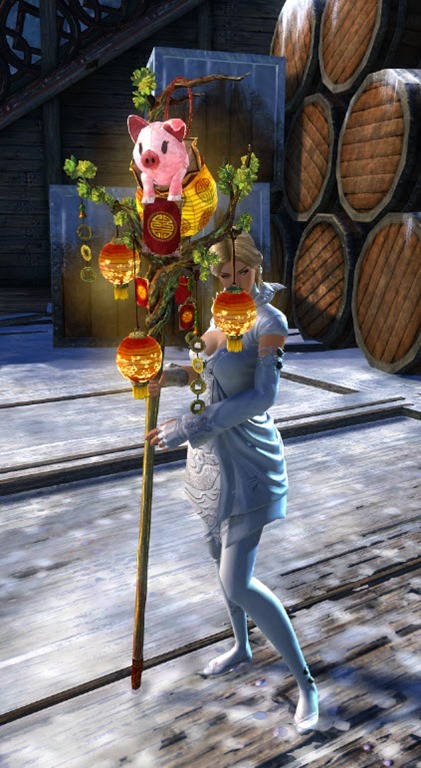 But for spending straight gems the fortune staff is super pretty too ;). That’s a very impressive outfit, especially if you’re trying for an Asian theme. 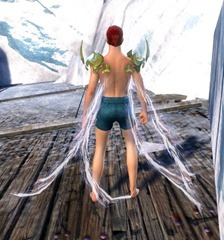 The shoulders are also a nice addition. 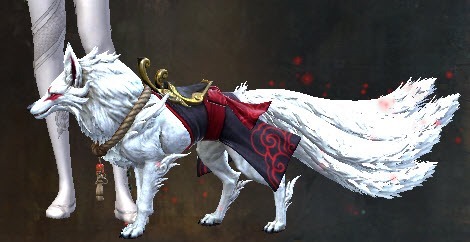 Those shoulders would make the tier 2 wvw shoulders even more tentically. I know it’s been more than 3 months since the last living world episode but I can’t believe people have already forgotten about the armor set from Jahai Bluffs, or the 6 or so armor sets we got with PoF. Nice shoulder piece.. too bad it’s impossible to get.. I won’t try buying more keys to try my luck.. coz I know it’s futile.. sigh.. Wish I could say the same.. but repair cans & boosters are my biggest fans.. always chasing poor me..! And I didn’t get it with 30 keys. I’ve been saving them up for an attempt at a skin that I like. So I envy you.